Your first choice for window, gutter and conservatory cleaning services in South-East Essex. 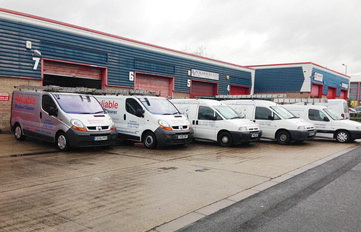 At Reliable Window Cleaner we take great pride in our reliability, professionalism, integrity and customer care. We’re also very safety conscious and comply with new work at height laws by using a pure-water high reach cleaning system, which allows us to reach most windows without using ladders at all! We offer professional cleaning services for private homes, apartment blocks, offices, schools, hotels, factories, and industrial units in Shoeburyness, Great Wakering, Barling, Thorpe Bay, Southchurch, Southend-on-Sea, Westcliff-on-Sea, Leigh-on-Sea, Hadleigh, Benfleet, Thundersley, Rayleigh, Hockley, Hawkwell, Hullbridge, Eastwood, Rochford, Ashingdon, Canewdon and beyond. We carry full public liability insurance for your peace of mind and ours. Click the link at the bottom of each page to view our documents. Our pure water cleaning system uses no chemicals at all! That means its safe for you, your pets and any plants under the windows.